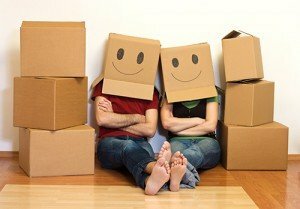 Through our trusted removals partners, Dublin City Storage is pleased to offer our customers a professional, stress-free removal service at discounted rates. We can offer all our commercial AND domestic customers a full and comprehensive removal service in addition to a “man and van” service. We can also arrange for single or large items to be moved. We operate a range of large Luton bodied furniture removals vehicles. These are fully equipped with padded furniture blankets, straps, and trollies. For those who may want to transport pallets, we also operate a tail lift service. In addition, DCS can offer very competitive rates for nationwide moves. Check out our moving services in Dublin! Why choose us for your furniture removals? We use only the best equipment, packing materials, and moving vehicles that will properly handle all your belongings with complete care. Our customer service team to our actual removals team, we are ready and waiting to meet your every need. We offer very competitive and affordable rates for our removals services. No hidden costs here! Get a free quote today and let us show you why you should choose us. We are Dublin’s number 1 removals company, we ensure on-time delivery every time. We will pick up your belongings on time and deliver on time. Our team is fully trained and experienced in moving furniture, no job is too big or too small for us. Our team can guarantee a secured move any day, and any time. For a reliable, safe, and quick move, look no further! Contact us today to discuss your removals requirements!! !